参加者：Max Berthet, Joelle Chaftari, Hidaka Mari, Noemie Lobry, Fujimoto Takako, and Vanessa Yang. Since the Great East Japan Earthquake of March 11, 2011, and the tsunami and meltdowns that followed in its wake, there have been many moving stories about how the disaster impacted, and continues to impact, Japanese living in Fukushima and the Sanriku Coast. Meanwhile, in Tokyo, life returned to normal for the vast majority of the population within a few years. General knowledge about the remediation and reconstruction efforts is sorely out of date. March 2011 and its aftermath seems like a distant memory, something that happened a long time ago in a region far, far away. But are they really? How can one read the aftershocks and fallout of 2011 not in the Tokyo area today? That is the question this exhibition aims to address, through photo-essays looking at the way residents, businesses, universities, and government agencies in and around Tokyo continue to be influenced by the triple disaster and the private and public initiatives aimed at rehabilitating the disaster zones and the greater Tohoku region. How did this show come about? Over the past year, I have been teaching a graduate course titled “Short-Form Art Writing” in the Cultural Resources Studies Department at the University of Tokyo. During the Fall/Winter semester, the theme of the class was “Art and Disaster,” focusing specifically on March 2011 and its aftermath. 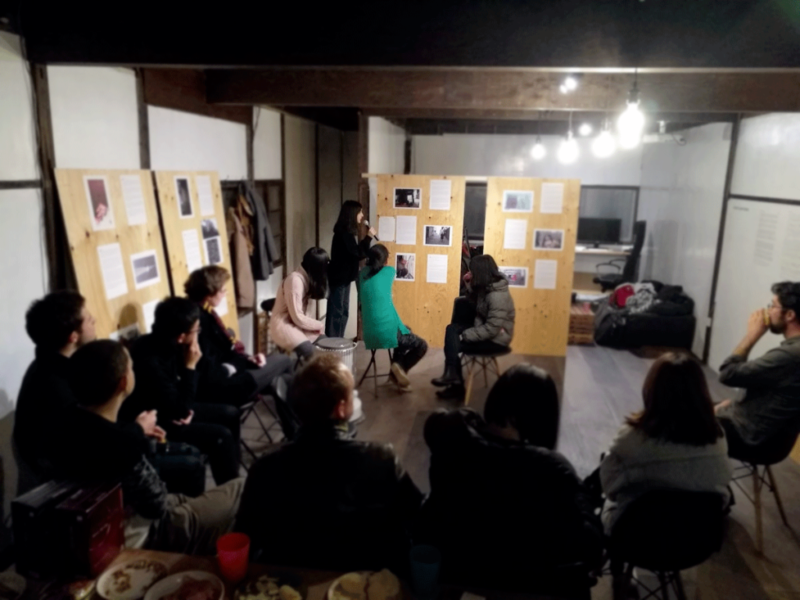 As few of the students were art-related majors, and even fewer were Japanese, the course became as much a tutorial about the 2011 disaster and how artists have responded to it, as it was about the practice of crafting tight, informed, and critical responses to artwork and exhibitions. After surveying such art through the lens of magazine reviews, we studied a handful of specific case studies. Artists Katō Tsubasa and Seo Natsumi were kind enough to visit our class to talk about their work in the disaster areas. 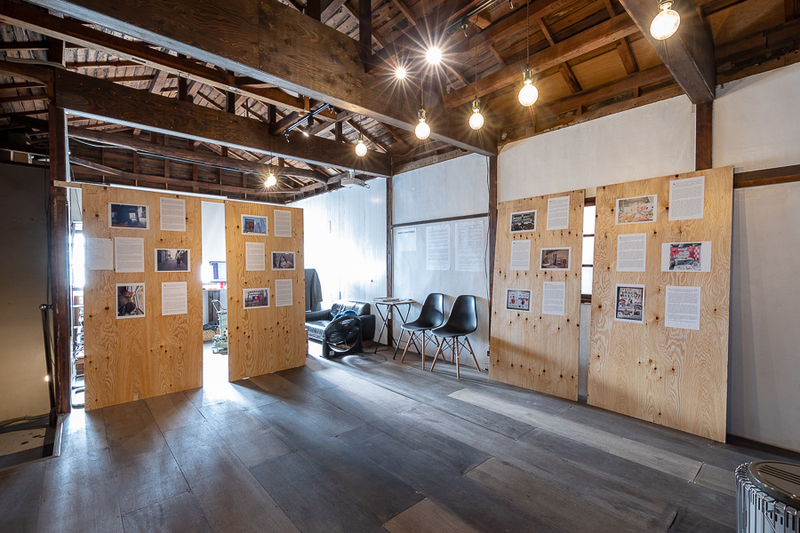 Unfortunately, bound to Tokyo, we could only consider the post-tsunami exhibit at Rias Ark Museum in Kesennuma and Chim↑Pom’s “Don’t Follow the Wind” project in Fukushima second-hand through images and text. But we did have the opportunity to visit the exhibition “Catastrophe and the Power of Art” at the Mori Art Museum and (to gain historical perspective) the Great Kanto Earthquake Memorial Museum and Itō Chūta’s Memorial Hall at Yokoami-chō Park near Ryōgoku, dedicated to those who died in the 1923 earthquake and the Tokyo Air Raids of 1944-45. 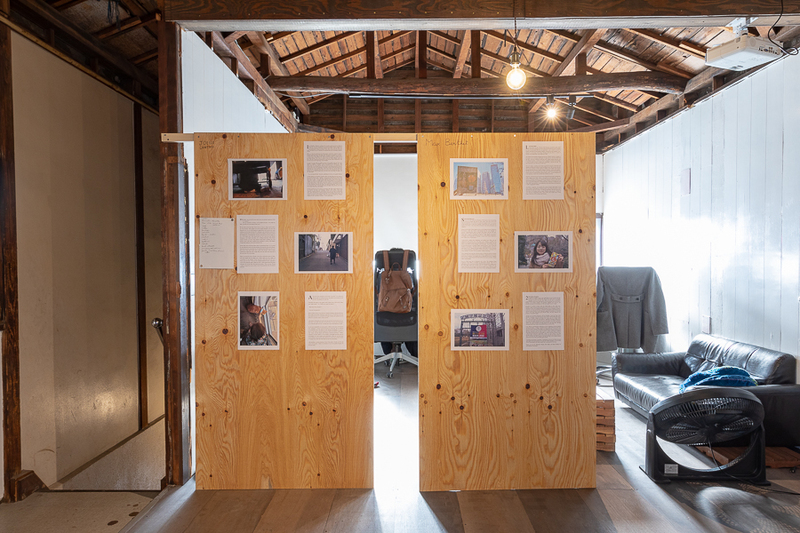 Approximately every other week, students were asked to respond to class sessions by composing Instagram posts (2200 characters max), in which they reflected on life and death, disaster and reconstruction, as well as the social value and politics of art. While not all of their accounts are public, most of the course’s output, as well as my assignment guidelines, can be found under the hashtag #tantanpen – which literally means “short-short-form,” but is a portmanteau of the Japanese for “short-form writing” (tanpen)and the spicy Sichuanese noodles known as tantanmen. After three months spent appreciating and judging other peoples’ curatorial and artistic endeavours, I thought that it was only fair that they create something themselves for their final project. 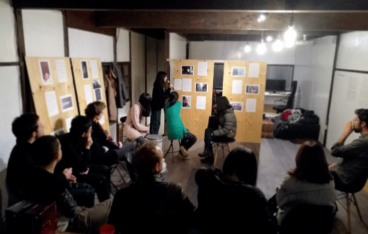 The result is the photo-essays in the present exhibition. Moreover, as most of what we looked at in class was made prior to 2016 (the fifth anniversary of the disaster), I thought it imperative that we learn about what is happening now. Inspired by the unique narrative presentation at the Rias Ark Museum, which mixes factual description with imagined oral recollections, and the storytelling projects carried out by Seo Natsumi, NOOK, and the Sendai Mediatheque, I asked my students to create a short photo-essay (three photographs and three Instagam-length texts) addressing the question: How can one read the legacy of 2011 in Tokyo today? Asking them to focus on the Tokyo region was of course motivated by convenience, since travelling to Tohoku requires time and money. But it was also intentionally counterintuitive, since the usual impulse is to decry Tokyo-centrism and head north to see how the disaster zones are managing. Much to my surprise, they had no problem finding relevant stories. 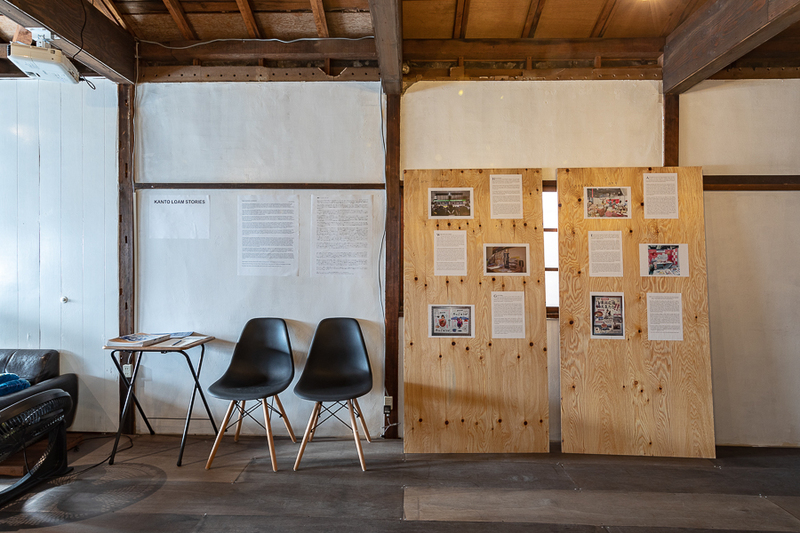 As their projects demonstrate, whether in the form of sporting events, solar power initiatives, Tohoku tourism campaigns, promotion of regional food brands, advances in seismographic research and engineering, or simply how people navigate their neighbourhood streets or care for their cat, the aftereffects of 2011 are part of the fabric of work, leisure, and daily life in present-day Tokyo. What their projects also show is that 2011 is hardly a cipher of memory alone. Quite the opposite. 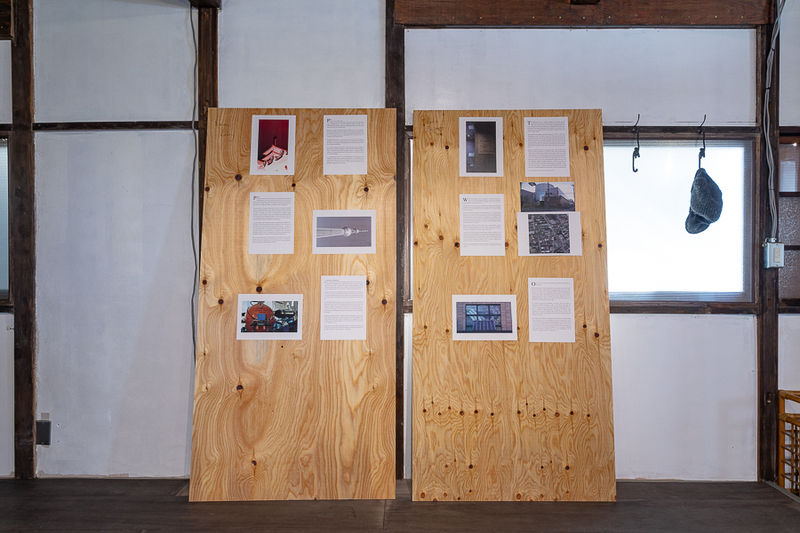 With the 2020 Olympics fast approaching, I feel that unearthing and interrogating the ways the disaster and recovery are narrated both publicly and privately is an essential part of being informed as a citizen (or foreign resident) and engaged as an artist, writer, curator, or educator in Japan today. We have the right, and responsibility, to tell our own stories. Special thanks to Yumi Song, Director of Not So Bad, for hosting, designing, and coming up with the title for this exhibition. Organized by Ryan Holmberg (University of Tokyo, Cultural Resources Studies Department), with Yumi Song (Director, Not So Bad). Participants: Max Berthet, Joelle Chaftari, Hidaka Mari, Noemie Lobry, Fujimoto Takako, and Vanessa Yang.